A square silo provides 25% more storage capacity than round silos for the same floor area. So for bulk goods, a square is the right shape for maximum capacity. First of all the unique property of our square silo is the ultra-smooth flat walls. Even the most difficult products leave our silos without any problem. As a result of our clever design we can ensure that there are no weld seams on the inside of the structure. Yet the silo still retains its strength. 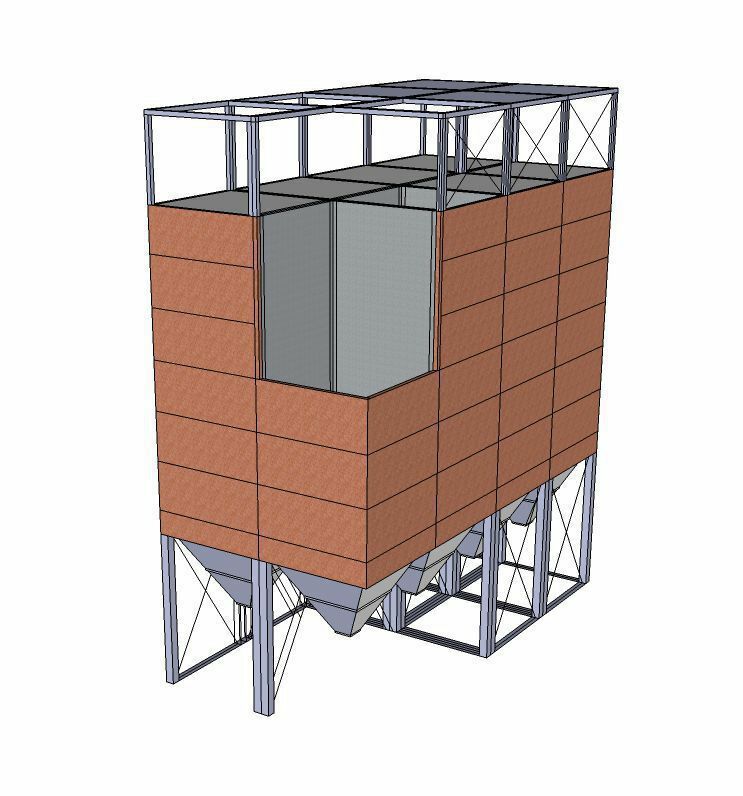 The rectangular silo concept is characterized by an optimum storage capacity and flexible layout options. A clever design produces the best possible product discharge with maximum storage capacity. With a square silo, you are also investing in a safe, hygienic working environment. Our organization is 100% focused on this silo concept, from sale and design to production and installation. We are able to handle projects from A to Z: from the steel support structure to the insulating cladding and from functional design up to and including fitting. If desired, the square silos can be supported by a calculated steel construction based on the individual requirements. The calculation will be worked out in the smallest detail and meet the European standards. The requirements of the local regulations are also taken into account. Our silo system consists of various steel silo components that are assembled in a modular fashion layer by layer. Our system is the most effective solution for dry and granular bulk goods that are to be further processed into various types and grades. The steel silo panels are used to create rectangular or square silo cells that enable optimum use of the available space. The standard panels are supplied in many widths. Combining different sizes produces a range of possible cell sizes. Nothing in our silo system is standard and every project is different. Would you like to receive more information about our Square Silos?